If you’re in Prague on the first Wednesday of the month, listen up at noon. As the air-sirens are tested, you’ll hear an eerie reminder of the city’s 40 years of suffering and struggle behind the Iron Curtain. There are still nearly 800 pressurized bunkers located across Prague that can accommodate 40% of the city’s population. Built primarily during the 1950s, the bunkers were a response to the shocks of WWII as well as the omnipresent threats of the Cold War. One of the larger shelters is tunneled into Vitkov Hill, where you begin your3-hour walk focused on Prague’s decades as the capital of a Soviet satellite state. As you explore the decorations and statuary of The Hall of the Red Army, created on the site after the communists took power in the “elegant coup” of 1948, we discuss the heavy-handed propaganda strategies of the Communist Party of Czechoslovakia (KSC). You visit the mausoleum that displayed the mummified corpse of Klement Gottwald, first chairman of the KSC, along with the adjoining laboratory and temperature control centre, where a team of doctors, cosmetologists and technicians cared for the embalmed body. 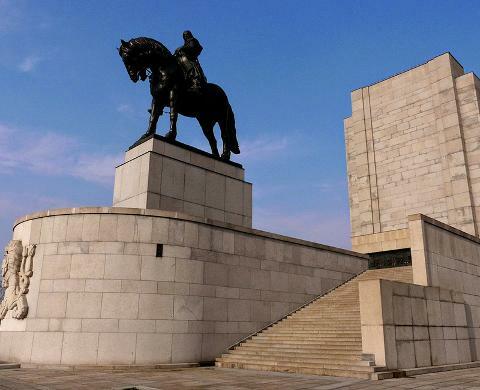 Vitkov Hill was already home to the largest equestrian statue in the world, monument to the undefeated 15th century Hussite general Jan Žižka, which was erected to honor the WWI Legionnaires who fought for an independent Czechoslovakia. To gain legitimacy, the KSC persistently used this tactic of linking their icons to Czech nationalism. Standing atop the Vitkov Memorial, you’ll take in airy panorama of the city and the Žižkov Television Tower, an example of high-tech architecture that looms above the rest of the city’s skyline. When construction began in 1985, rumors circulated that it was designed to jam Radio Free Europe. 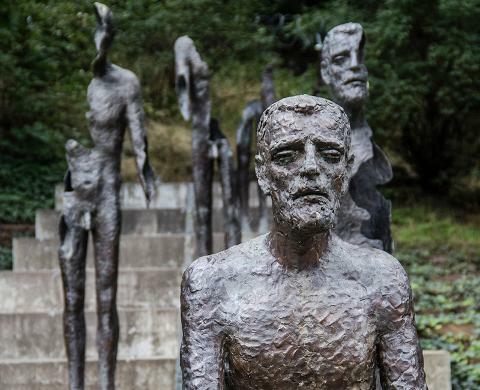 Returning to the city center, you visit key sites that focus our discussion on the life of Prague residents under totalitarianism. 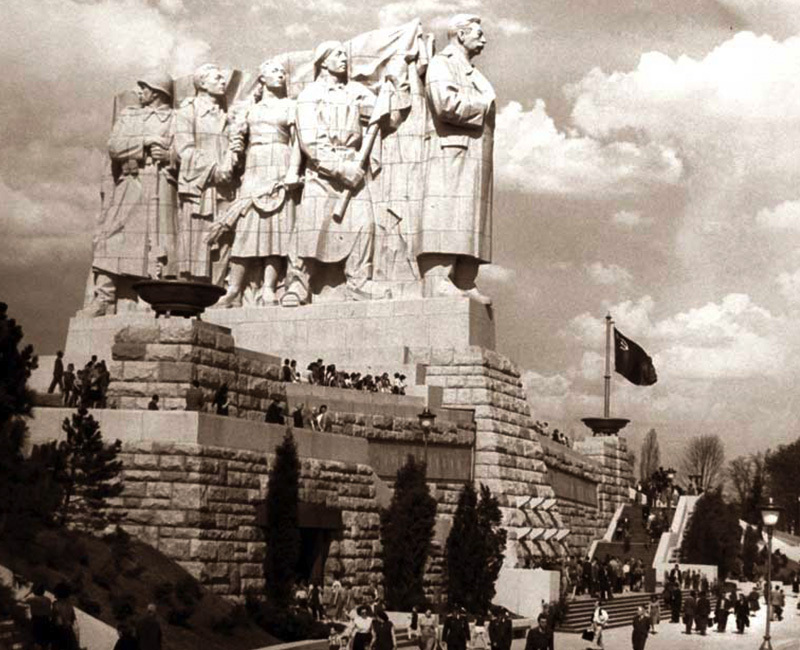 You look out on Letna Hill where the world’s largest Stalin statue once stood, staring down menacingly on the city. 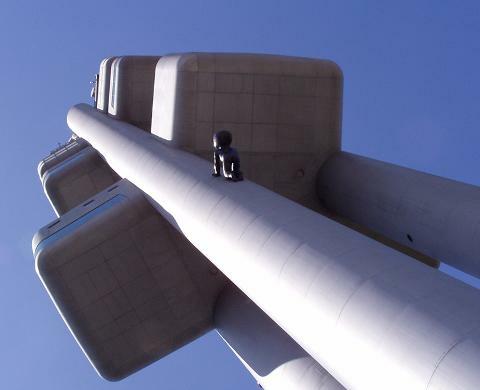 Ashamed for accepting the commission, sculptor Otakar Švec committed suicide three weeks before the colossus was unveiled. 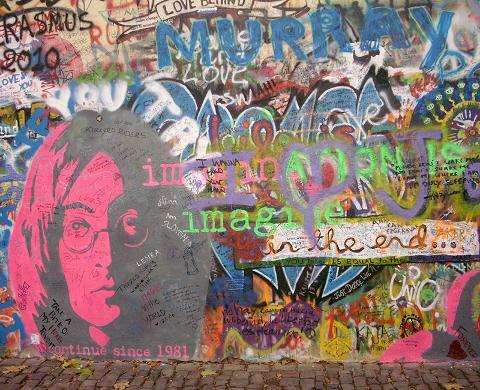 At the famed John Lennon Wall, you contemplate the site where poems, pictures, complaints and hopes were scrawled by individuals yearning for freedom. Each time the police had the wall painted over, Czechs risked imprisonment to put up this “graffiti of protest” anew. Perhaps the most symbolic structure of the totalitarian regime is the National Assembly building erected in 1972 as the seat of the communist government. A unique example of the “Socialist Brutalist” architectural style, the building was constructed as a titanic arch over the former Prague Stock Exchange, visually representing the triumph of socialism over the First Republic’s market economy. 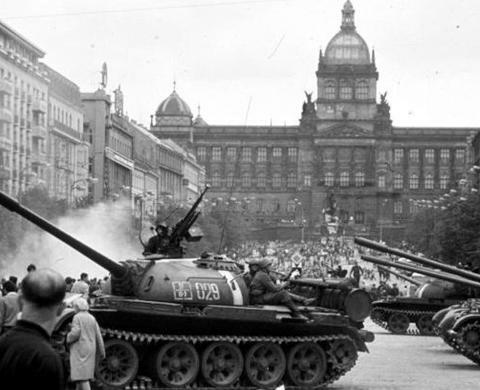 From here you visit Wenceslaus Square, the point of convergence for the Warsaw Pact tanks that crushed the Prague Spring of 1968, ending the 8-month period when freedom of speech and of the press blossomed. By the end of the tour, you’ll have a broad picture of the rise of communism in Czechoslovakia and of the consequences and key events of the Velvet Revolution, which ended the long Cold War era and swept Vaclav Havel, a dissident playwright and a prisoner of conscience, to the presidency of today’s liberal democracy, which is still recovering from the social and economic effects of totalitarianism. *Note to travelers with difficulty climbing: We recommend leaving out Vitkov Hill. We can offer you an excellent walk in the city center that doesn’t require the ascent to Vitkov. When ordering the walk, specify in the “comment” section that you prefer to leave out climbing or email us at info@insightprague.com.